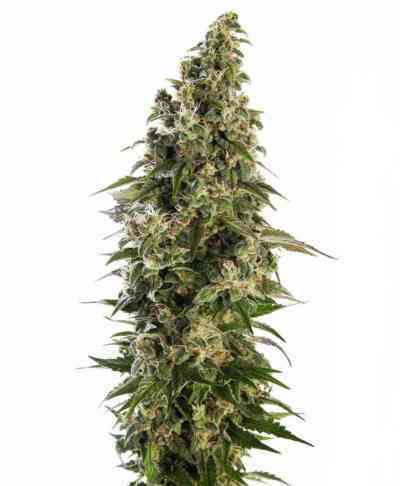 By taking all the power and productivity of the automatic Critical and mixing it with the delicious flavour of the Diesel, Original Sensible have created autoflowering cannabis seeds that really do have the best of both worlds. This Critical Diesel strain uses all the delicious essence that comes from a high quality Diesel, but harnesses the power of the Critical to produce automatic seeds that supply a plant full of resin, highly resistant and incredibly easy to grow. In fact, this strain makes growing Diesel cannabis seeds so easy that even a real novice can get really good results and understand what true quality weed is all about. With a harvest time of just 9 to 10 weeks, one single seed performs over and over again providing multiple crops in the same year. And every harvest offers a mass of deliciously aromatic buds, glistening with all those wonderful crystals. 18% High THC levels and up to 400gr m2 yields make this a highly productive Diesel hybrid that is also incredibly cost effective. Though still of the highest quality, these cheap cannabis seeds are a great way to grow the best strains of cannabis whilst still having the funds to come back for more!